Actress and activist Sheryl Lee Ralph will perform her one-woman show “Sometimes I Cry” about women infected or affected by HIV/AIDS. "St. Louis on the Air": Sheryl Lee Ralph talks about her work as an HIV/AIDS prevention activist. Ralph’s performance will be followed by a Q-and-A session. Ralph said people need to be responsible and educated. Testing for HIV and sexually transmitted diseases is part of that education, she said. From start to finish, an HIV swab test takes only 20 minutes. “That means you’re 20 minutes closer to having a better quality of life,” Ralph said. In addition to the Turn Up event at Harris-Stowe, Myrtle Hilliard Davis Comprehensive Health Centers are offering free HIV testing on Friday. 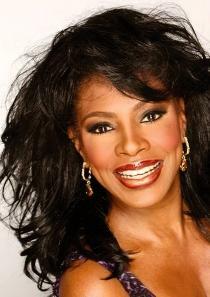 When: 11 a.m. to 5 p.m. Saturday, Feb. 7, 2015; Sheryl Lee Ralph will perform at 1 p.m.
Where: Myrtle Hilliard Davis main site, 5471 Dr. Martin Luther King Drive; Homer G. Phillips Hospital location, 2425 N. Whittier, St. Louis; and Florence Hill Health Center, 5541 Riverview Blvd., St. Louis.